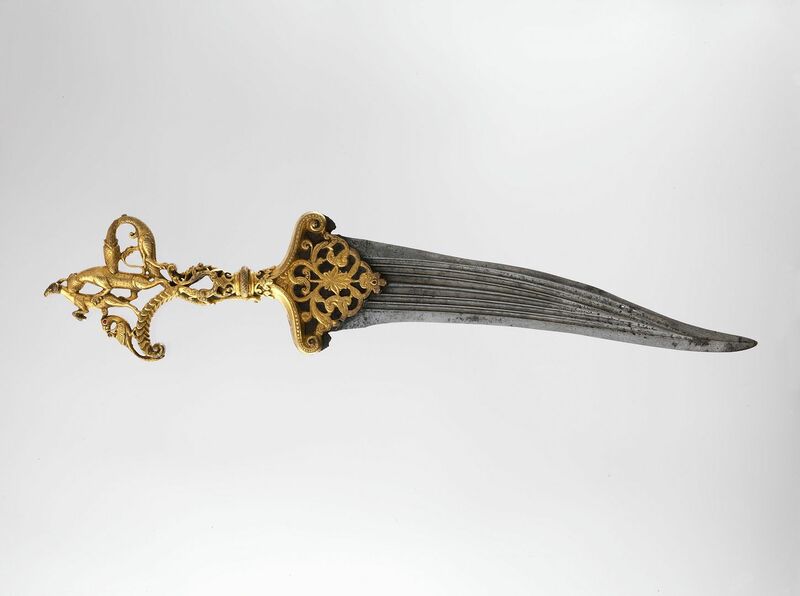 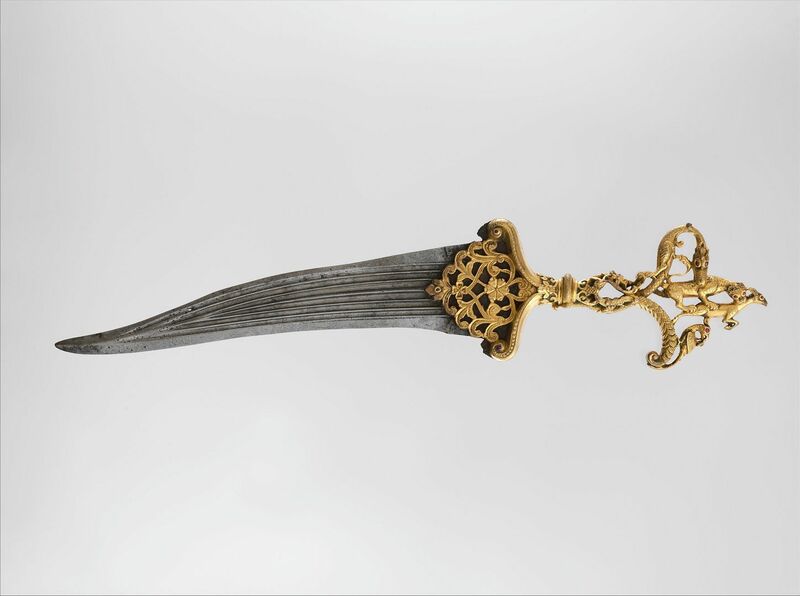 Portraits of Sultan 'Ali 'Adil Shah of Bijapur (r. 1558–80) show him wearing daggers with zoomorphic hilts similar to this one. 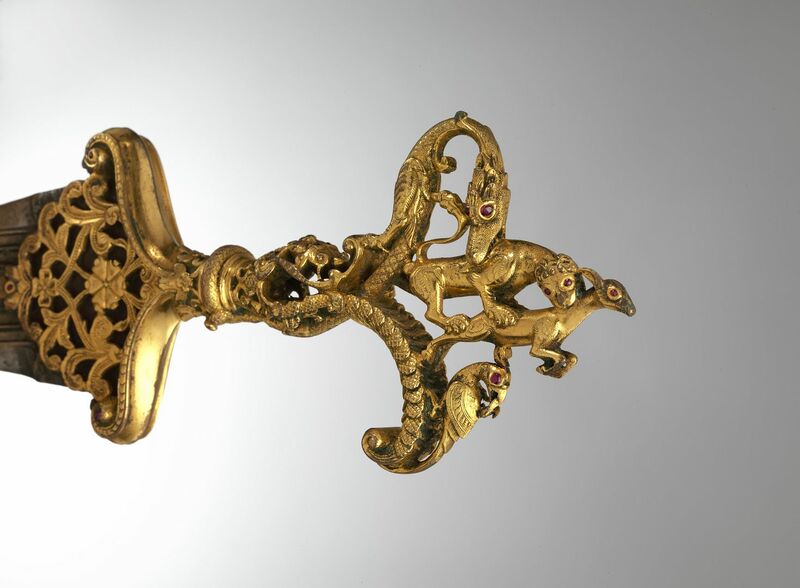 In this superlative, ruby-studded hilt, a dragon, whose tail wraps around the grip, attacks a lion, which in turn attacks a deer, symbolism associated with the deity Garuda. Before the deer is a parrotlike bird with a snake in its beak. 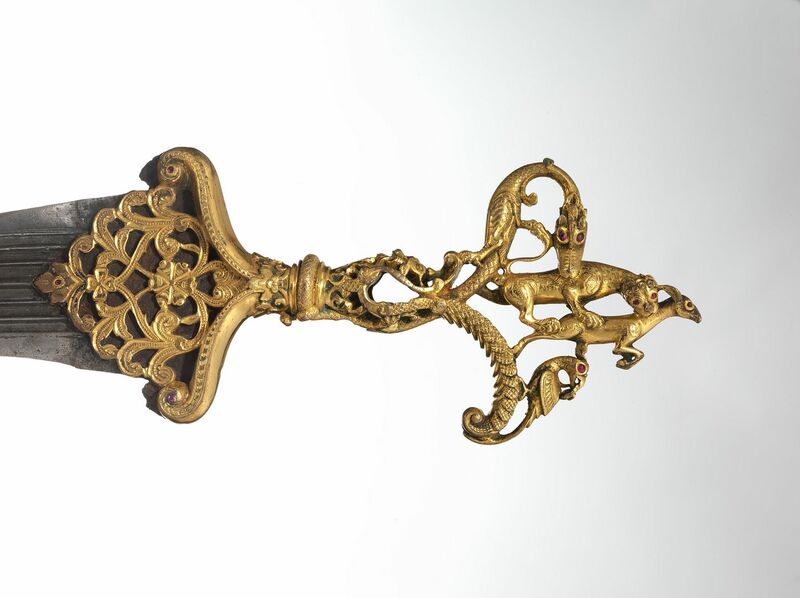 Lower down on the hilt is the head of a yali, a mythical lionlike animal, with floral scrolls issuing from its mouth.